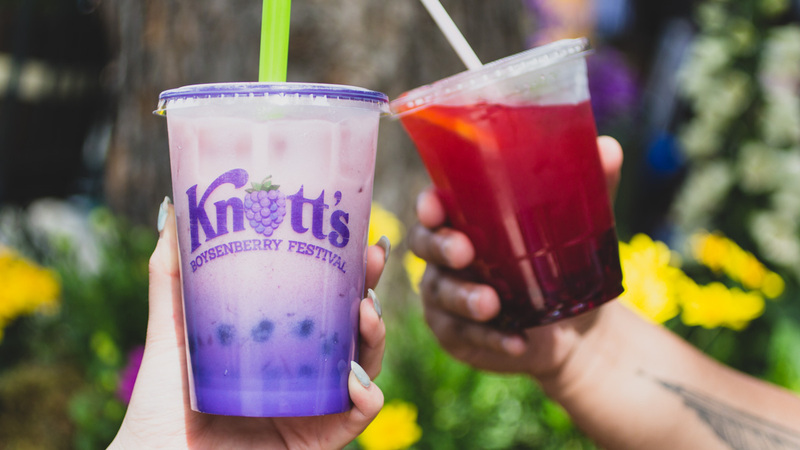 At Knott’s Berry Farm, boysenberry season is in full swing, meaning that the theme park’s annual lineup of boysenberry-laden eats is back. This year’s Boysenberry Festival features some super-sized and creative items never seen before, with nearly 75 unique dishes on display for everyone to try. Here’s a look at some of the wildest and most decadent treats in the park you have to track down. These arm-length hot dogs are as big on flavor as they are on size. 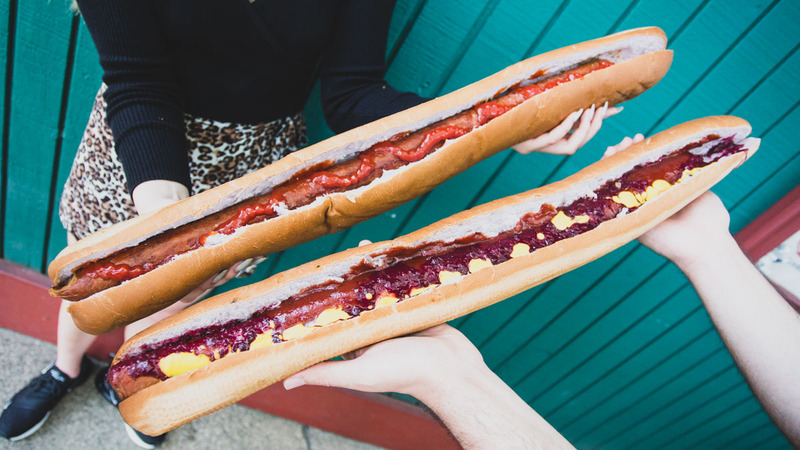 A custom frankfurter is served in a massive boysenberry bun, topped with twists on classic hot dog accoutrements like boysenberry ketchup and relish. Cinnamon rolls get a literal giant upgrade here. 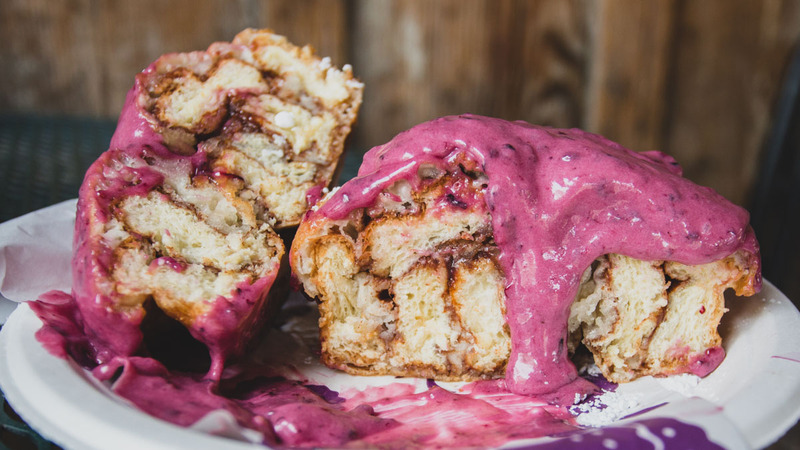 The Fun Bun is a massive boysenberry cinnamon roll, big enough for 2, that is topped off with a boysenberry cream cheese icing. A true behemoth of a sandwich, this bad boy can easily feed 2-3 people. 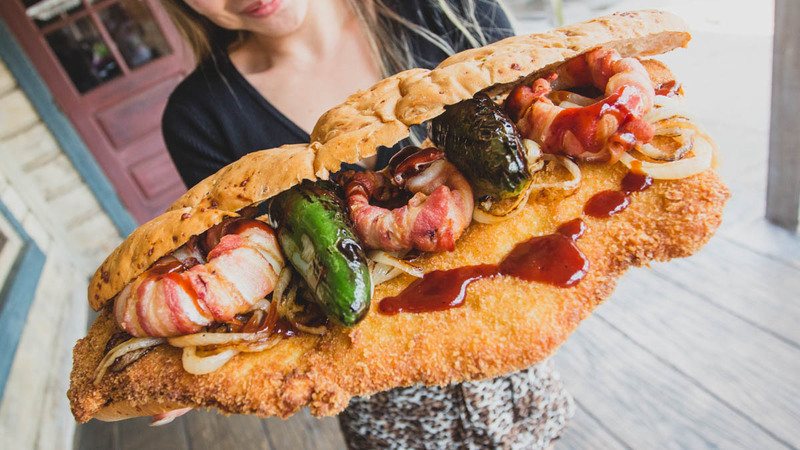 It consists of a massive custom bun stuffed with an XXL pork tenderloin, bacon-wrapped onion rings, whole grilled jalapeno peppers, and boysenberry bbq sauce. 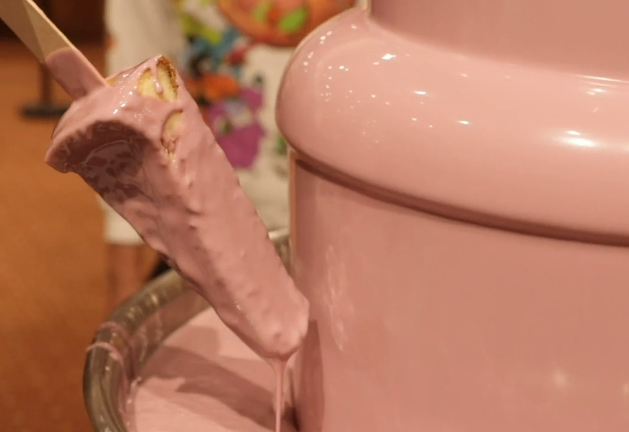 Boysenberry and shawarma combine in this intriguing mashup. 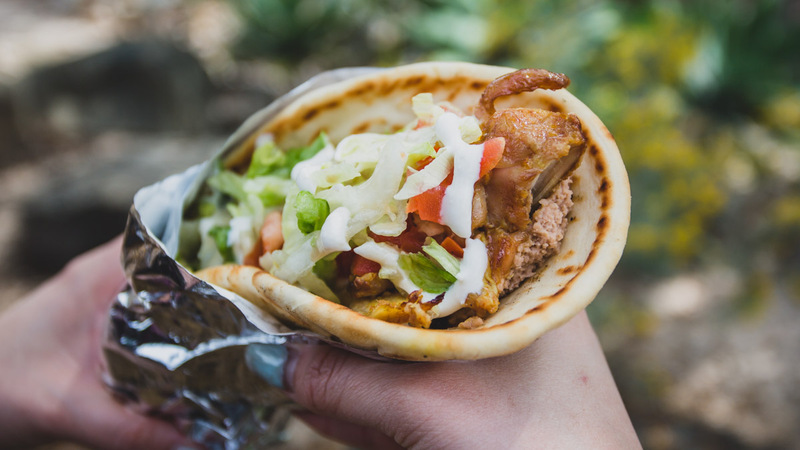 The chicken used in the wrap is cooked with a boysenberry glaze, and there’s also a boysenberry hummus inside to accentuate that flavor. 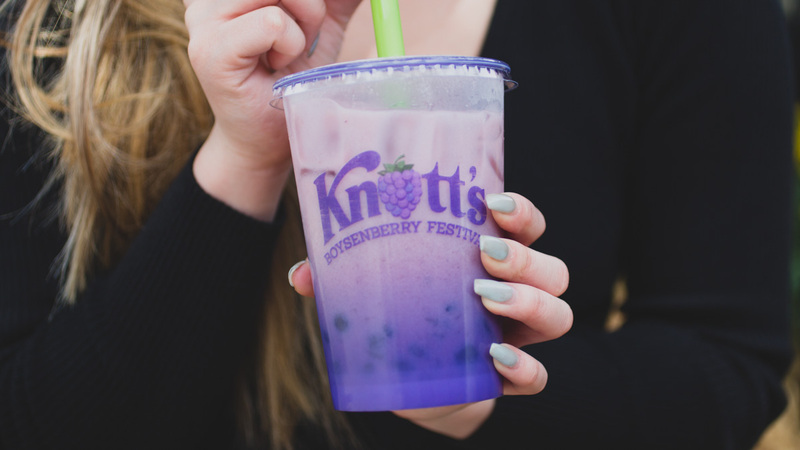 A favorite from last year, this boysenberry drink is a refreshing, berry-laden twist on classic boba. Those who have never tried alligator can think of it as a mix between pork, chicken, and turkey. 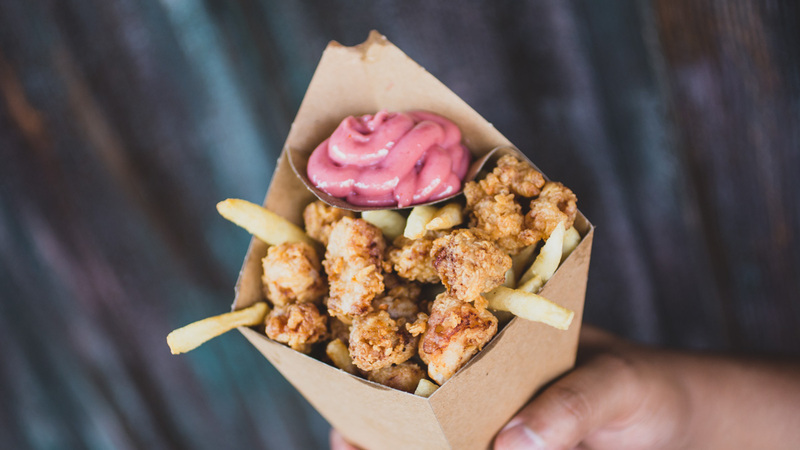 If that’s intriguing to you, these fries, complete with boysenberry aioli for dipping, are a must-cop item in the park. 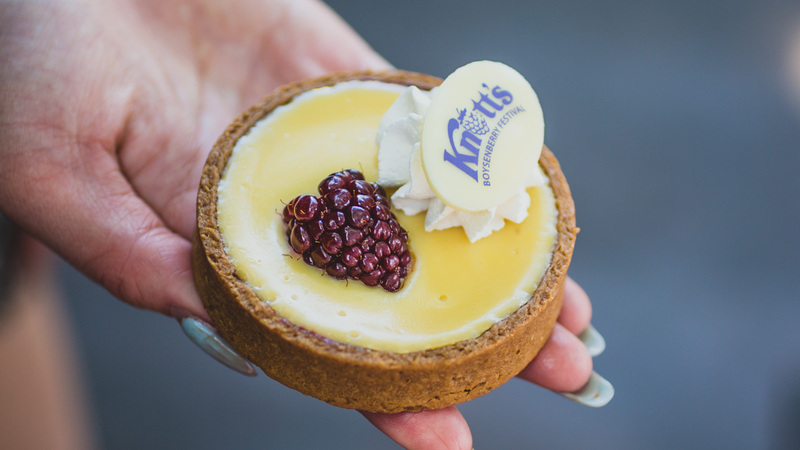 Knott’s has done deep-fried versions of this in the past, but the 2019 version is a fresh piece of cheesecake with a boysenberry drizzle on top, ideal for munching on while strolling around the park. Strawberry and basil is a seriously underrated flavor combo, especially as part of a lemonade. This boysenberry version is tart and refreshing, and the mashed boysenberries at the bottom help amp up the flavor. 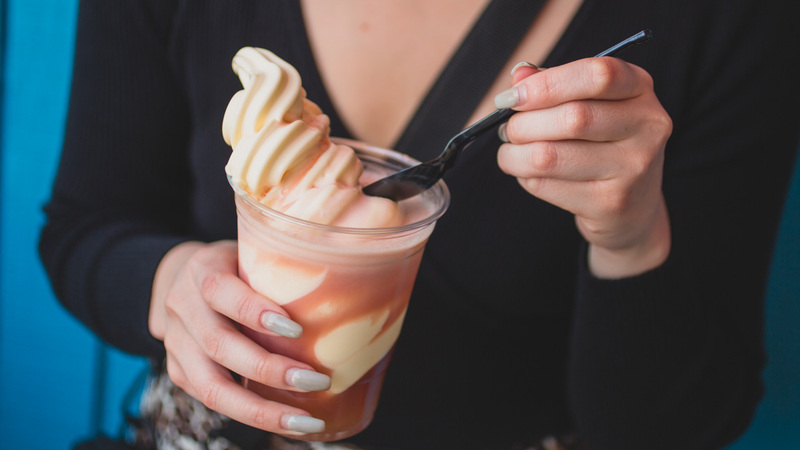 Dole whip has fast become a theme park favorite, and this version takes the pineapple soft serve and combines it with both pineapple juice and boysenberry fruit punch. 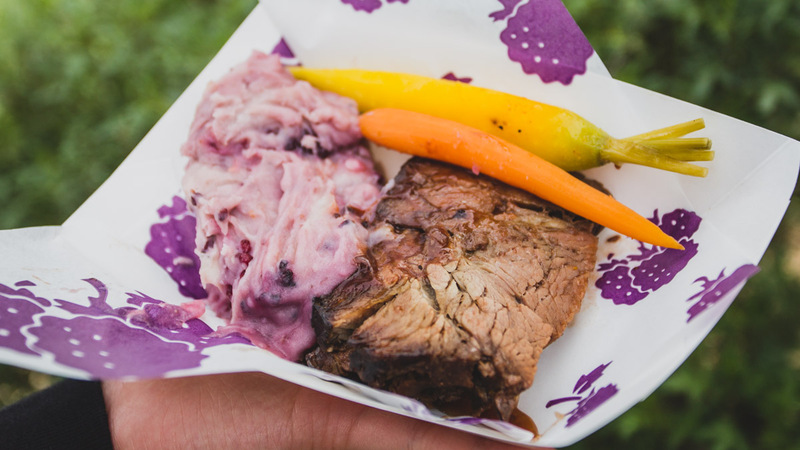 Knott’s Boysenberry Pot Roast is available as part of this year’s festival Tasting Card, which costs $35 and gives you coupons for 8 different taster items. This particular version comes with boysenberry mashed potatoes on the side. 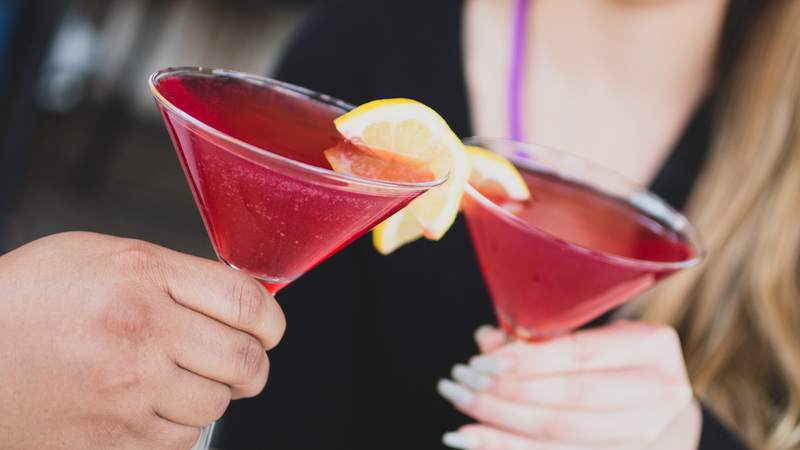 Cosmopolitan fans will want to track down this boysenberry twist on the classic cocktail, perfect for a little post roller coaster Happy Hour. Key Lime pie is a dessert of pure decadence and zest. Adding a hit of boysenberry to that takes this classic treat to the next level. The Boysenberry Festival runs through April 28th, so you have until then to run down all of these treats, plus all of the other goodies scattered throughout the park. Created in partnership with Knott’s Berry Farm.